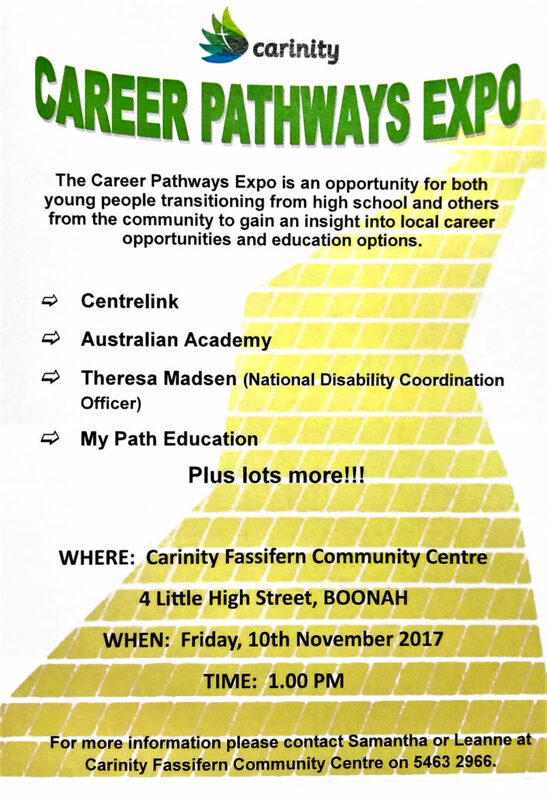 Carinity are hosting a Career Pathways Expo on Friday 10th November, commencing at 1:00 PM at the Carinity Fassifern Community Centre, 4 Little High Street Boonah. The Career Pathways Expo will be an opportunity for young people transitioning from high school and others from the community to gain an insight into career opportunities and education options. Carinity would like to extend their invitation to local employers. A BBQ lunch will be held prior to the commencement of the Expo.